Mrs. Jean Haines, age 83, of Jefferson Street, Salamanca, New York, formerly of Kill Buck, New York, died Friday evening, January 25, 2013 at Olean General Hospital, Olean, New York. Born March 24, 1929 in Salamanca, New York, she was the daughter of the late Ernest and Nora Cooper Snyder. She was married on September 16, 1950 in People's Methodist Church, Salamanca, New York to Mr. Douglas Haines Sr. who predeceased her on December 16, 1990. Mrs. Haines was a graduate of Salamanca High School and attended St. Bonaventure University. She co-owned with her late husband Haines Trailer Sales, Haines Trailer Park, and Mr. Softee. She also substitute taught and Salamanca and Ellicottville Schools. Mrs. Haines was an enrolled member of the Seneca Nation of Indians and a member of the Deer Clan. 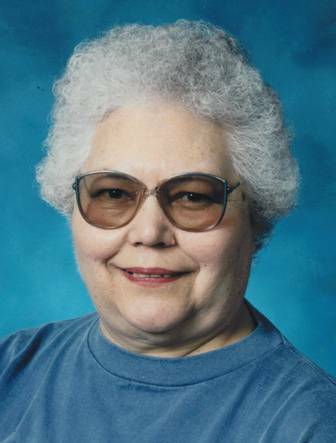 She was also a Gray Lady at the former Salamanca District Hospital and a member of the Ladies Auxiliary of the Kill Buck Volunteer Fire Department. She enjoyed spending time with her family at their cottage on Rushford Lake. Surviving are: a daughter, Barbara (Tim Rich) Haines, Salamanca, NY; 4 sons, Murray (Debbie) Haines, Kill Buck, NY, Larry (Cindi) Haines, Kill Buck, NY, Wendell (Malinda) Haines, Salamanca, NY, Douglas Jr. (Susan) Haines, Salamanca, NY; 16 grandchildren, Murray Jr. (Danielle) Haines, Amherst, NY, Kelly Haines, Washington, D.C., Kristy Chamberlain, Kill Buck, NY, Colby (Sara) Brown, Salamanca, NY, Janise Dash, Salamanca, NY, Cameron Haines, Indonesia, Corey (Emma Timblin) Haines, Jamestown, NY, Brittany (Dave Hennessey) Haines, Caladonia, NY, Sabrina (Terry) Hunsinger, Binghamton, NY, Jordan (Sarah) Haines, Randolph, NY, Emily (Kris) Harris, Salamanca, NY, Molly (Justin Wojtowicz) Skoken, Randolph, NY, Chad Skoken, Salamanca, NY, Trent Haines, Salamanca, NY, Dylan Haines, Salamanca, NY, Sydnee Haines, Salamanca, NY; 10 great-grandchildren, Colton Chamberlain, Kill Buck, NY, Riley Brown, Rowan Brown, Reagan Brown, all of Salamanca, NY, Alexa Jean Hennessey, Caladonia, NY, Ethan Haines, Jack Haines, Laiden Wojtowicz, Madden Wojtowicz, all of Randolph, NY, Hunter Harris, Salamanca, NY; 1 brother, Earl Crouse, Vandalia, NY; several nieces and nephews. She was predeceased by a sister, Dorothy Crants, 4 brothers, Manny Snyder, Ralph Snyder, Daniel Snyder, and Kenneth Snyder. A memorial service will be held at the convenience of the family and will be announced. In lieu of flowers, the family suggests memorials to the Salamanca Rail Museum or the Salamanca Public Library.